This is a 3 Act Math Task that focuses on “Green Energy” proportional reasoning questions related to solar panels in order to address proportions both visually using area models and proportions written as equivalent fractions. 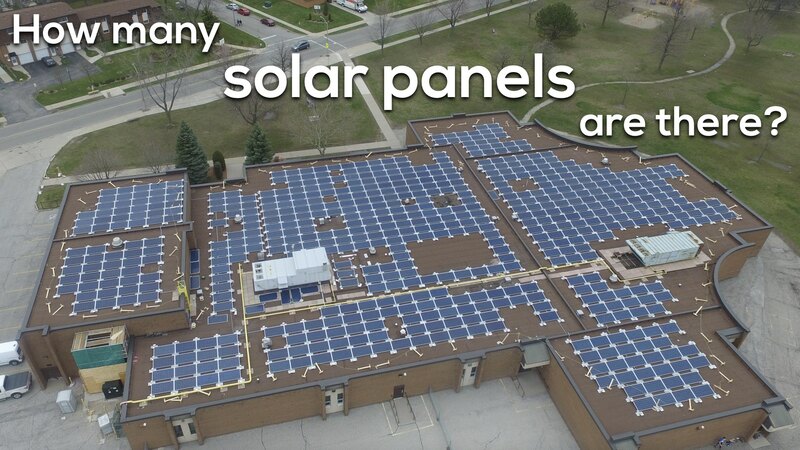 Special thanks goes to Dave Raney from CPE Inc. for allowing us to use his video and photos as well as Kathleen Quenneville, Energy & Environmental Officer at GECDSB for her feedback to create problems around solar energy. Then ask students to do a rapid write of what they notice and what they wonder. Students will then share out their noticings and wonderings while I jot their ideas down on the whiteboard. How many solar panels are there? I’ll flash this image on the screen and then ask students to make a prediction. I’ll give students some time to think independently, then chat with a neighbour to discuss their predictions while encouraging them to share their thinking. Then, we share out to the whole group and jot down predictions. When students have shared out their predictions, we will show students the blue prints for the solar panel system with the total number of modules (582). How much greenhouse gas emissions can the solar panels offset? 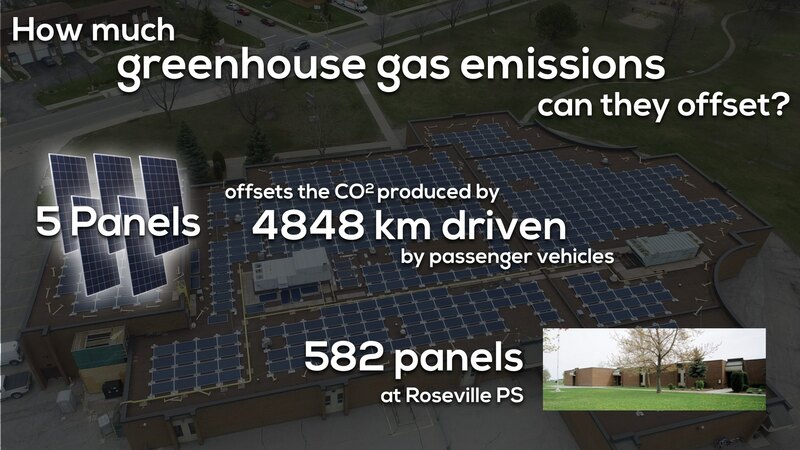 Show students this image showing the carbon dioxide from 4,848 km of driving a passenger car that is offset for every 5 solar panels that are in service on the roof of the school. 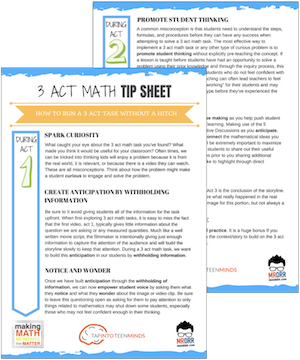 Show students the act 3 animated solution video showing three different representations for solving this problem. 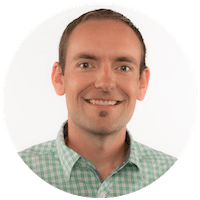 How many homes can all 582 solar panel modules power? Show students this image that states 4 solar panels provide 1,576 kWh of power per year and the average home consumes 9,000 kWh of power each year.